Brussels quartet We Stood Like Kings has no shortage of ambition. After releasing scores for the silent films Berlin and A Sixth Part of the World, they’ve chosen to tackle a more modern film that is known for its score. It’s hard to think of Koyaanisqatsi without Philip Glass, but We Stood Like Kings has done the unthinkable, treading where few would even even consider tiptoeing. So let’s think about this for a minute. 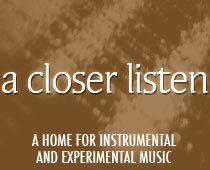 Press the play arrow below and listen critically to a snippet of Glass’ original score. Let’s be honest, it does sound a touch dated, especially the throat singing. It fit the film at the time, and was a standout among its peers. But the new generation is unlikely to be drawn in by the score as it stands. Fair enough? Now to the film itself. Godfrey Reggio’s Koyaanisqatsi was the first of a trilogy whose descendants were Ron Fricke’s Baraka and Samsara. These films provide a warning: life is out of balance. Fortunately, in the 35 years since the first film made its debut, we’ve made great strides. Overpopulation is no longer a problem, technology’s excesses have been reeled in, animals are treated kindly, and the environment is healthier than it’s ever been, thanks in large part to the fact that we heeded these warnings. My apologies, apparently we didn’t heed the warnings. So guess what? These films are still relevant. Yet while I was influenced by these films as a teenager, entranced by the visuals and the scores, if I were a teenager (or even a young adult) today, I’d need different music. That’s where We Stood Like Kings does the film, and the message, a great service. Check out the trailer below: the movie now seems like an entirely different animal, worth seeing all over again. Now let’s continue to be honest. Many people will hear this score without ever checking out the film. Maybe they’ll see the band on their upcoming European tour, and won’t be lucky enough to catch a simultaneous screening. Maybe they will only be interested in the music, especially as this has been a slow year for post-rock. Does it hold up on its own? Yes, absolutely. At this point in their career, We Stood Like Kings has now matched the number of albums released by 3epkano (3) and the number of scores released by Mogwai (also 3), while topping the number of post-rock scores produced by British Sea Power (2) and My Education (1). This is their niche, and they make a fine argument for owning it. They do so with a fine balance (note the wording) of modern composition and post-rock. Their piano-led pieces are enhanced by resonant crescendos ~ just how fans like it. The first big one arrives in the last two minutes of “Four Corners”, but it’s earned by a thoughtful buildup, so much so that it seems a natural progression. This is the nature of the band: to arrive at loudness incrementally, then suddenly. On “Nuages”, the quiet and loud, slow and fast go back and forth like a rocking boat, just as one might expect in a ten-minute track, but surprises abound: the softest part arrives halfway through, lulling the listener to BOOM! Like we said, balance. Thank you Richard, you did it again!